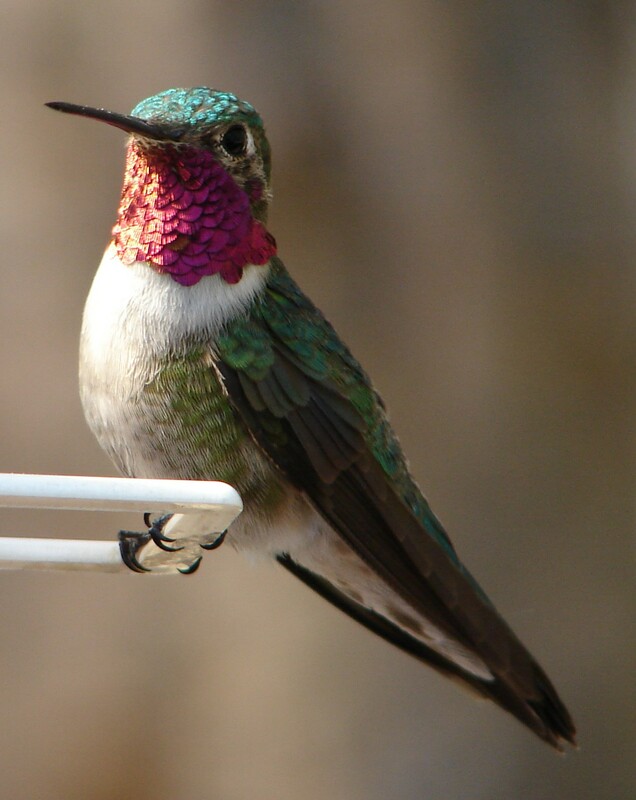 Attract Wildlife to Your Landscape – Glacier View Landscape and Design, Inc.
Wouldn’t you like to have more butterflies, hummingbirds, bees and other non-invasive wildlife in your Broomfield, CO back yard or anywhere along the Colorado Front Range? Sure you would! That’s what makes a landscape lively and mimic our natural environment better. Here are some suggestions to help you accomplish that easily. There are three things to consider in order to maximize wildlife; water, food, and habitat. There are several ways to provide water to birds, bees, squirrels, and other wildlife. The best is a pond with a circulating pump and waterfall or riverbed system. This is the most expensive option, but the more water you have available the greater diversity of wildlife you will find. If your pond is large enough, you will find after just a few weeks that waterfowl will discover it and you will have ducks, egrets, and perhaps even a turtle or two on your property. Of course, robins, blue jay, and most songbirds love to bathe in the shallows of your pond, so even a smaller pond that will not support ducks, geese, or other larger waterfowl will still flourish with the songbirds looking for a bath. The only drawback is that raccoons also like water. They do not have saliva glands and must wash all their food as they eat it. If your yard is fenced, it can deter raccoons from finding the pond, but they are good climbers too. Another more cost effective solution to water is to have a store purchased water fountain installed in your yard. These can range anywhere from $200-$2000 depending on the size. They will have a recirculating pump and will need filling once a week, but mine attracts plenty of birds looking for a bath and a drink. An occasional 1/4 cup of chlorine bleach will keep it from becoming too slimy, and a full cleaning is only required once in the summer and once when it is emptied for the winter months. Here on the Front Range in Broomfield one can leave it running in all months except perhaps December-February. The second most important item to have available in your landscape for wildlife is food. Now, I’m not suggesting to “feed the bears”, but having natural sources of nutrition for wildlife will encourage them to come and stay a while. The best natural attraction for hummingbirds are plants with red trumpet shaped flowers. One of the best I’ve found so far is Salvia greggii ‘Furman’s Red’ with tall stalks, trumpet shaped petals and long stamen. Within a week of planting 15 in a group, hummingbirds appeared where none had been seen before. Try it, you’ll be amazed at the results. Other ways to definitely attract birds is to have bird feeders on your property that are stocked with black oil sunflower seeds, though any medium quality birdseed will usually suffice. The black oil sunflower seeds can be pricey. Either way, you may end up with squirrels in your feeder unless you install one of the squirrel proof feeders. A squirrel or two is ok, you just don’t want 8 whole families of squirrels around. The last way to have food available is by having lots of flowering perennials and shrubs which naturally drop seeds at the end of the season. Birds will arrive to hunt for those dropped seeds. Bees will be attracted to the blue/lavender flowers the most such as Russian Sage, Blue Mist Spirea, and Dwarf Blue Fall Aster, though some bees will harvest pollen from any flower. And lastly, having butterfly bush available for butterflies is important too. I like Buddleja davidii ‘Nanho Purple’ for attracting both butterflies and bees (purple). Finally, the third item to have available in your landscape is lush habitat. It must be appropriate for wildlife to flourish, however. Having a mixture of both evergreen and deciduous trees on the property is important. Birds will nest in both tree types, but I’ve found that dense pine will provide more shelter for various nest building species. You can also purchase or construct birdhouses and place them in areas that are not accessible by predators (on poles works well). As you place these items, try to keep them somewhat hidden, both so that they are not an eyesore to the landscape and obvious to the casual passerby, but also that the birds have some shelter from the elements (ie. the opening to the birdhouse should not face northeast for spring snowstorms). Birds will begin building nests around April 1st depending on weather conditions. Having shrubs, perennials, trees, and secluded areas of your property will invite all sorts of unexpected wildlife. Try these few suggestions and you will be amazed at how quickly you will have more birds, bees, butterflies, dragonflies, squirrels, and other interesting visitors on your property. Be sure to have a camera handy and keep an eye out for the unexpected visitor.